Graffiti HeArt Stoked for PechaKucha Night and CLE Sunday Funday Weekend! 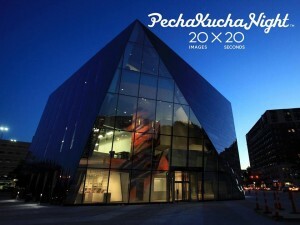 Graffiti HeArt is excited to be a part of PechaKucha Night this Friday, May 29th at the Museum of Contemporary Art Cleveland MOCA. PechaKucha, Japanese for “the sound of conversation”, features a RAPID succession of 10 speakers, each sharing ideas and thoughts on topics ranging from visual art, technology, architecture, food, film, photograph and furniture design. Each presenter is permitted to show 20 images and each image is TIMED to 20 seconds per image keeping the presentations moving quickly forward! The event is FREE and open to the public. Stamy Paul, President & Founder of the 501(c)3 non-profit organization, Graffiti HeArt, is thrilled to be able to share the mission, achievements, and goals of Graffiti HeArt at this weekend’s event. The gates open at 7:00pm, presentations will begin promptly at 8:30pm and will be over by 10:30pm. Show up early and enjoy a beverage and some conversation before the presentations get started…and don’t forget to wear your Graffiti HeArt gear! 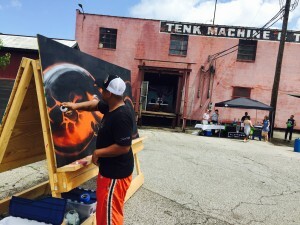 This weekend also brings the second CLE Sunday Funday at TENK in the FLATS, at 2111 Center Street (off of Washington) at the West Bank of the FLATS from 11am – 5pm on Sunday, May 31st. Join the fun and bring your family, including your 4-legged friends, and enjoy local foods, beer, arts, music, and more! The first CLE Sunday Funday kicked-off with a lot of enthusiasm with many attending and enjoying a good game of corn hole and 4-square, as well as connecting with friends and family! Calling on graffiti and mural artists to come join us and freestyle while also sending your art! A special “shout out” to Osman “SWIM” for coming out to perform some graffiti muralling on a Graffiti HeArt canvas. Hope to see you back soon, Osman! Graffiti HeArt is always looking for youth and adults to help promote the art of graffiti through permissioned and commissioned projects and events!